Welcome to the inaugural episode of the Dr. Mike Show. I’m joined by my co-host Chris Dominello for a Key Topic/Q&A episode. The key topic we discuss is the Hierarchy of Carbohydrates. I then answer reader questions about breakfast, protein powder for kids, and using protein powder to build more muscle. In This Episode You’ll Learn - How to use the Hierarchy of Carbohydrates to simplify what carbs you prioritize in your diet and how much of them you should consume. - How to put together fast protein-packed breakfasts. - If protein powder is safe for kids to use. - If protein supplements will help you build muscle after your workouts. 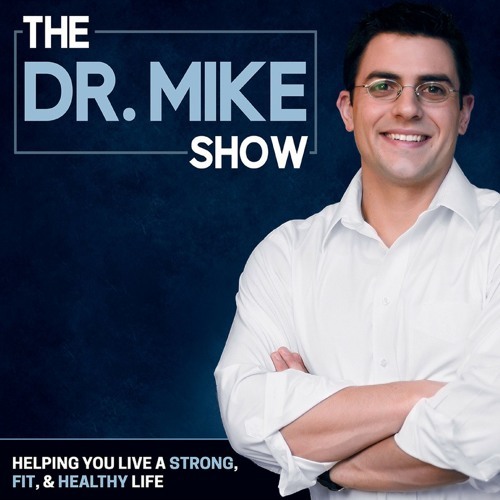 Visit mikeroussell.com for links to everything mentioned in each show along with additional free nutrition and fat loss resources.